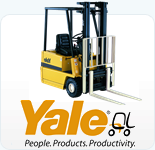 Yale manufactures one of the most versatile product ranges from Counterbalance to Warehouse, from 1000kg to 7500kg, including Electric, Diesel, LP Gas and Compressed Natural Gas capable of handling the toughest demands outdoors to the tightest spaces indoors. Mid-West Forklift Services Ltd, Blackheath Trading Estate, Cakemore Road, Rowley Regis, West Midlands. B65 0QN. We offer excellent quality new and used Fork Lift Trucks across the UK. Our used fork lift trucks are available at the right price to suit your needs. Whether you are looking for a small truck, diesel, gas or electric we can help! CAN'T SEE THE TRUCK YOU WANT? We can find the exact truck within 5 days. Caber-M, 187 Higher Lane, Rainford, Merseyside, WA11 8NF. AN ESTABLISHED FAMILY BUSINESS OFFERING PERSONAL INDEPENDENT SERVICE FOR FORK LIFT TRUCKS. Ace Handling, Warrens House, Unit 28A Somers Road Industrial Estate, Rugby, Warwickshire. CV22 7DH. We are a family owned and run business. Established in 1926 and on our present site since 1955. Quality workmanship, customer care and competative pricing make us the No. 1 choice for old and new customers alike. Our rates are most competitive, whether you need a truck for 1 week or 5 years or wish to purchase a truck to meet your budget. We specialise in hassle free long term hire allowing our customers a quality forklift at a lower fixed monthly cost, giving complete peace of mind.